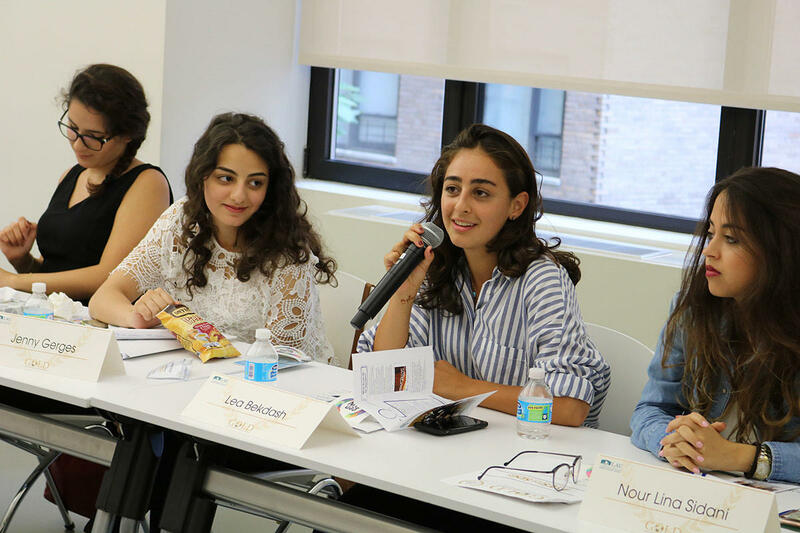 LAU runs four renowned international diplomacy programs for middle school students and high school students. 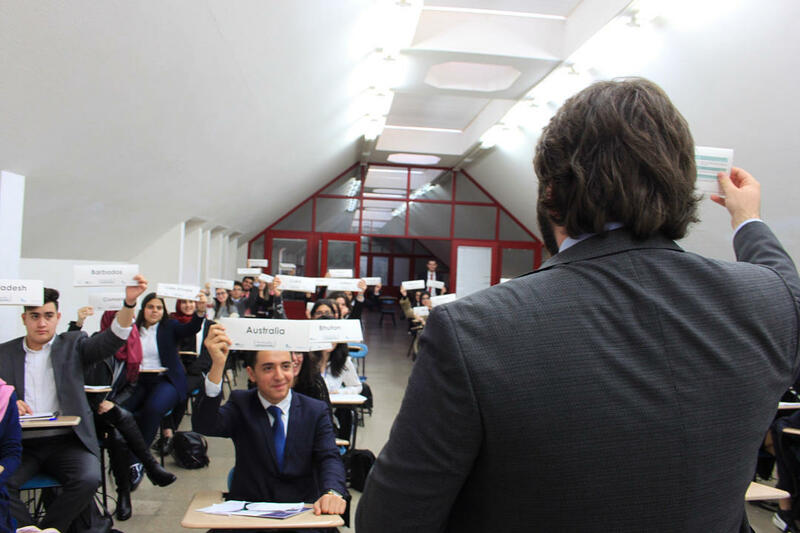 In Model UN, you learn how international diplomacy works. 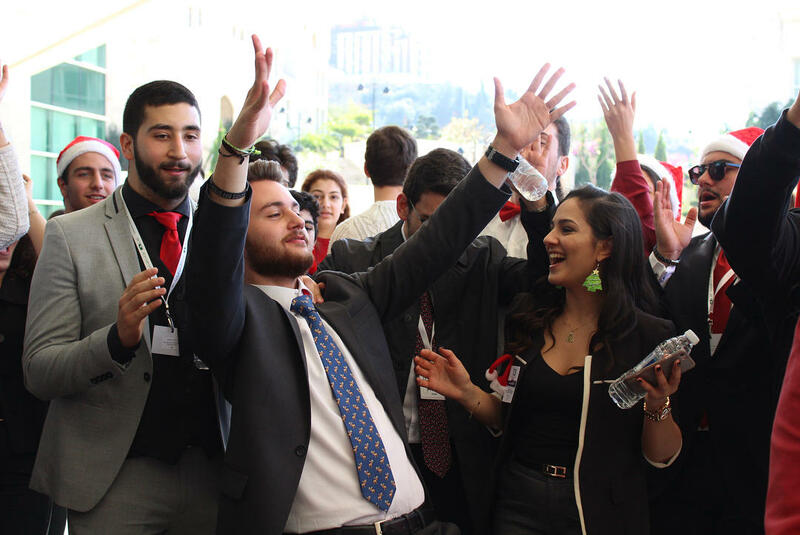 For a few months, you come to LAU to get training in research and interpretation, rules of procedure, writing position papers, public speaking, role playing, conflict resolution, negotiations, caucusing, and more. 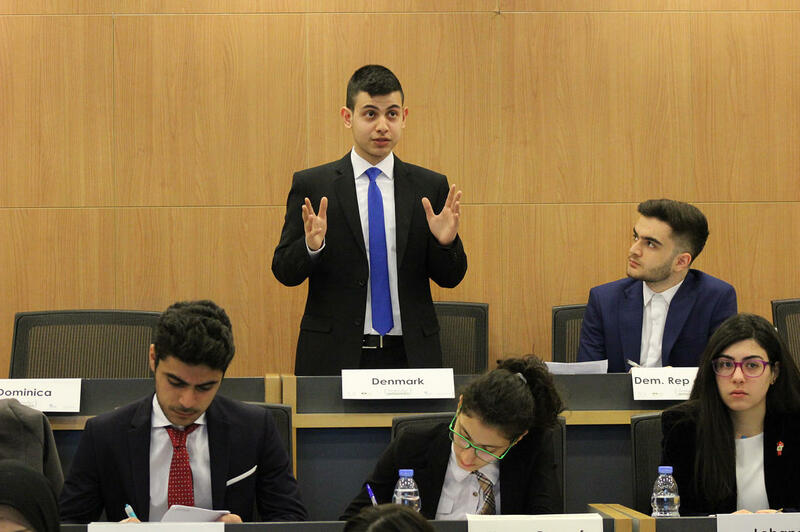 It ends with a big conference where you take the role of a UN ambassador from a country and get involved in a current issue or situation. 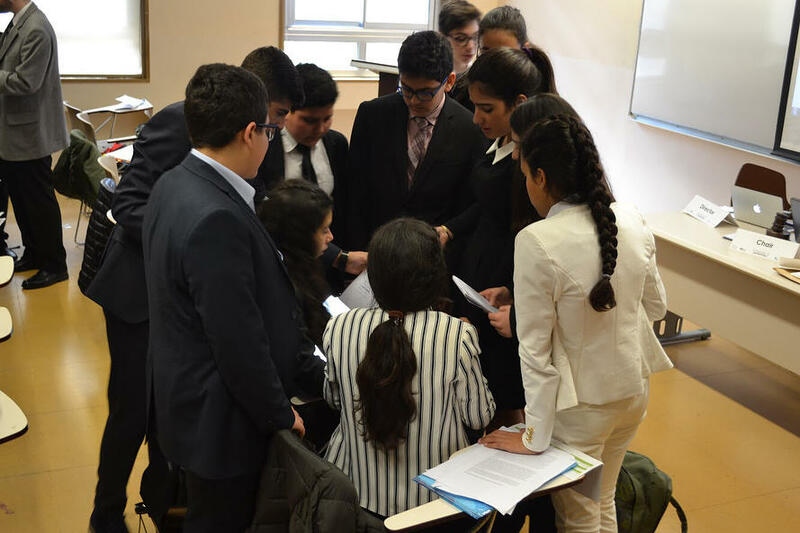 In 2016, our students led in New York the largest-ever Model UN program: More than 1,720 middle school students. For more details follow GCLAUMUN’s Instagram feed. 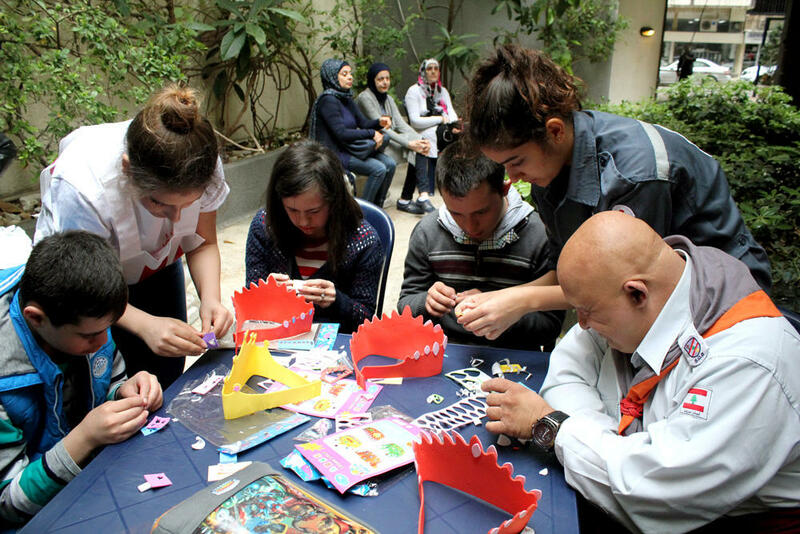 LAU students have been helping children in the Sidon area improve their reading skills. It started a few years ago with a book donation drive. Thanks to the commitment and talent of our students (alongside other volunteers), it has become a successful series of reading sessions where underprivileged children gain reading ability, confidence, and the belief that change is possible. Some of our majors include a course that is just about community service with an NGO of your preference. We help you select the NGO that suits your interests. They say teaching is the best way to learn. We partner with MMKN, an organization that trains you and then lets you to give reinforcement classes to 9th-grade students in public schools. 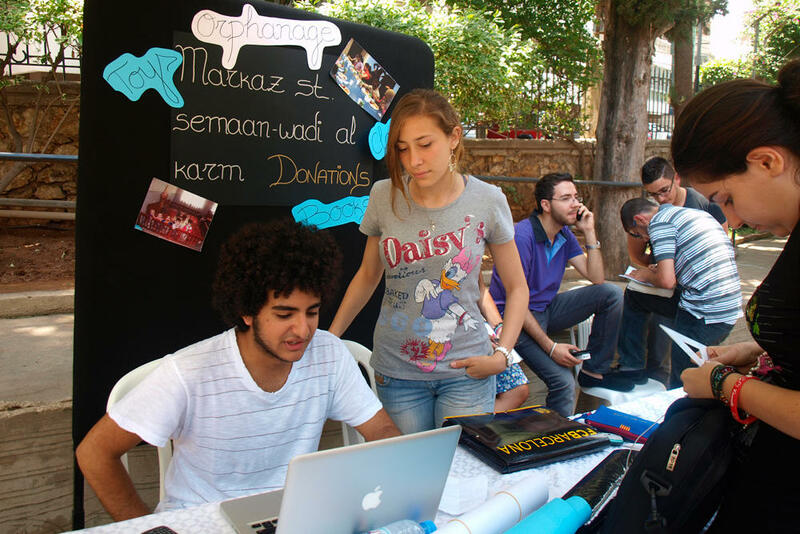 Our students are teaching French, physics, chemistry, biology, and math in the Beirut and Byblos areas. 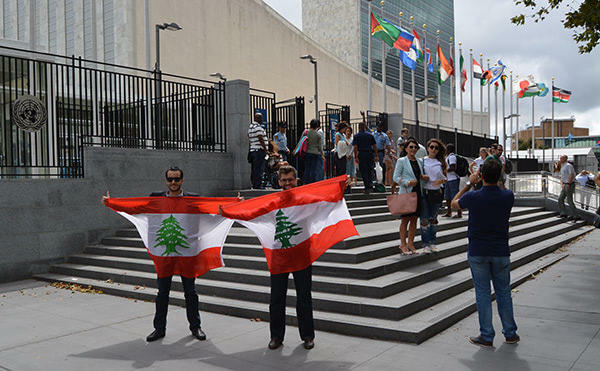 We have an app that lists great volunteering opportunities from nearly 400 NGOs in Lebanon. Only for LAU students! Field trips! 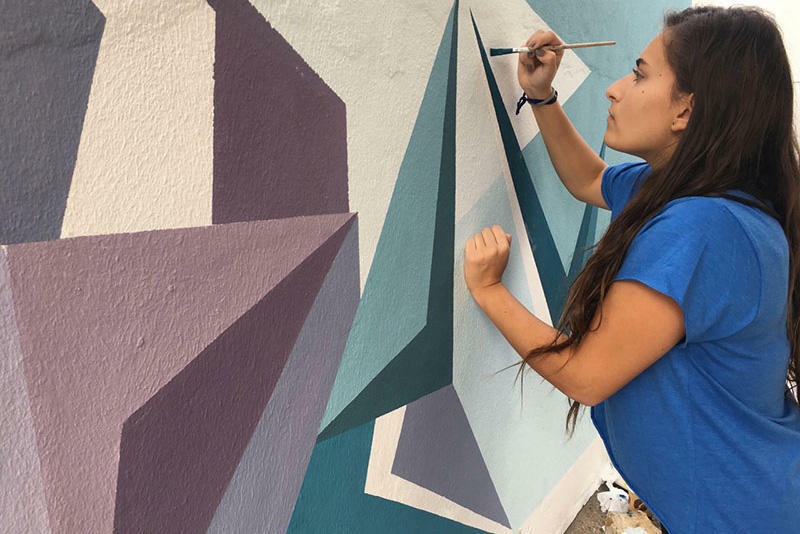 Our students volunteer to clean beaches, plant trees, entertain sick children, and much more. They also visit newspapers, hospitals, TV stations, industrial plants, museums, etc. 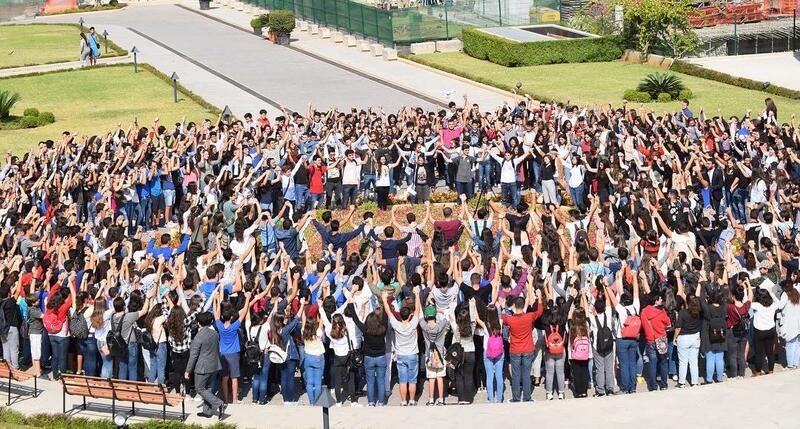 Our students participate, along peers from other countries, in the Global Outreach and Leadership Development (GOLD) conference. 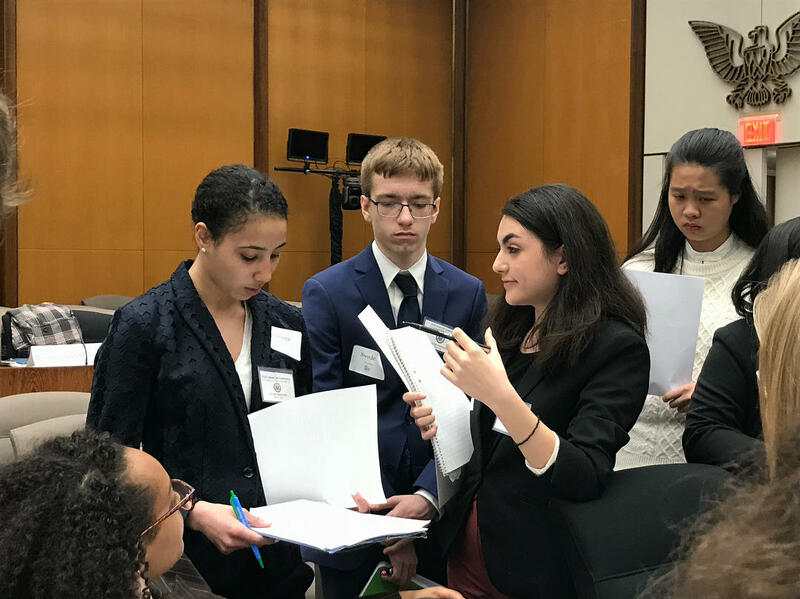 Here they learn the art of debate, negotiation, public speaking, and conflict resolution, while mingling with people from other cultures. 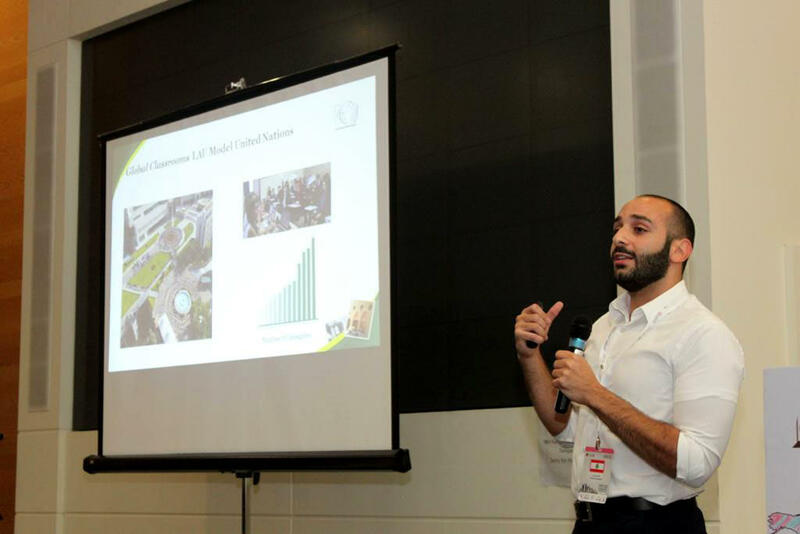 A conference in Qatar was an opportunity to talk (and learn) about volunteering and to compare notes with students, professors and social entrepreneurs from around the Middle East. Did you know that “soft” skills — such as how you speak, connect with others, use your time, manage your stress, and use your creativity — are as important for your career as knowledge and technical skills? We give our students lots of opportunities to master these things through a series of workshops by professional trainers and entrepreneurs. 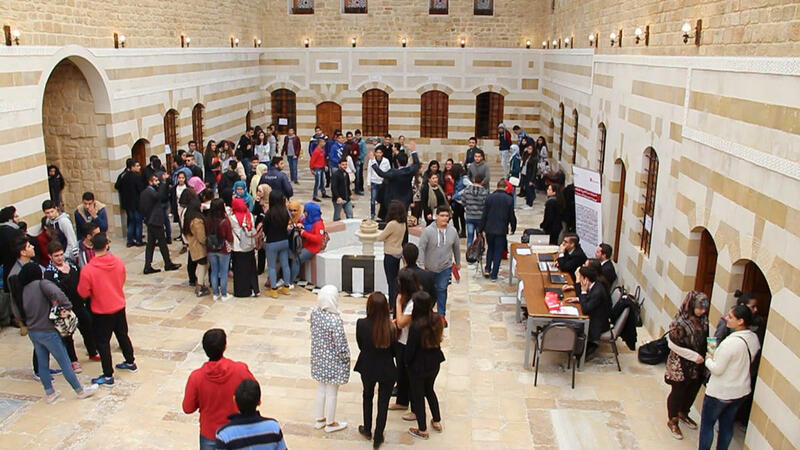 Our students get to meet Lebanese pioneers in person and visit the organizations they run. Some examples are Riad Salame (Governor of the Central Bank of Lebanon) and Mohammad Al Hout (CEO and Chair of Middle East Airlines). 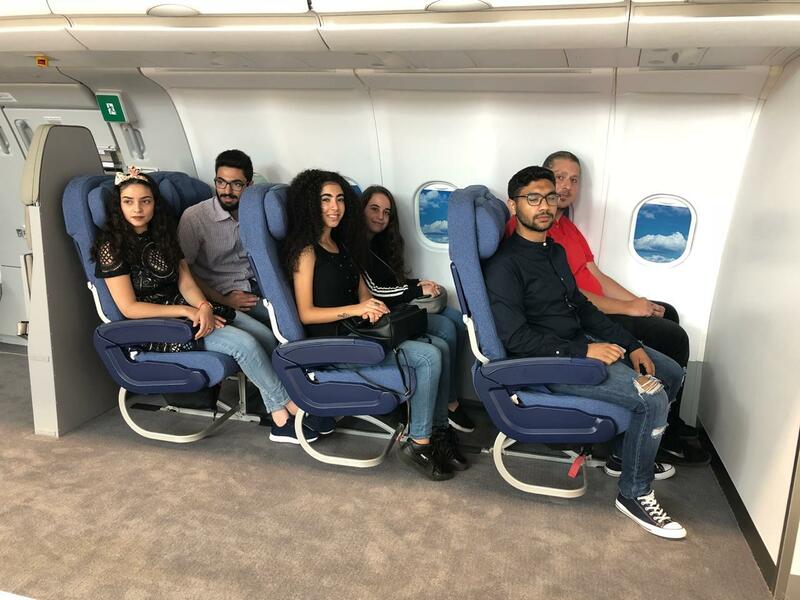 The picture shows our students during a tour of MEA. See more corporate visits and outreach. 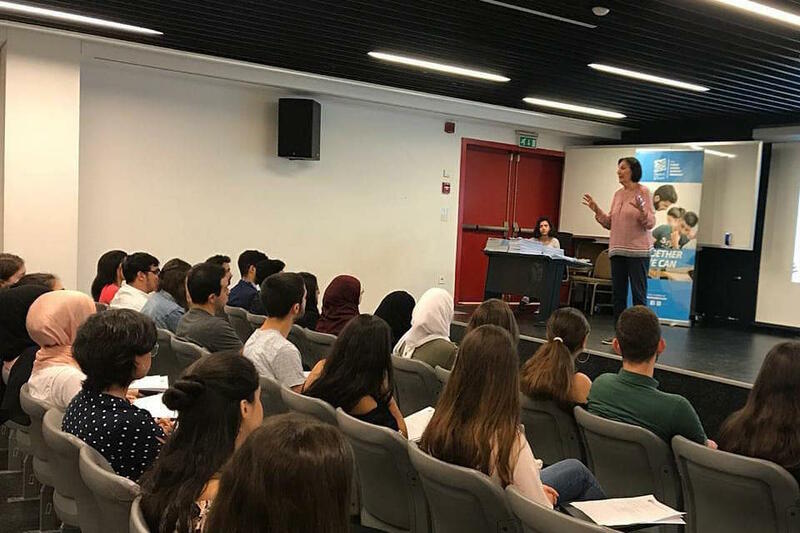 Our reach also extends toward South Lebanon with the Outreach & Leadership Academy (OLA), a beautiful historical location that is now the stage for a lot of learning, training, and dialog with communities from the area. Learn more. For more information, contact Ms. Ghina Harb on +961 1-786456 ext. 1844.